Finding cheap dividend stocks that are actually buy-worthy is tough. On the one hand, you’re looking for significant dividend yield. On the other hand, you’d also like to invest in a business that’s still growing. And on the third hand, you don’t want to overpay. On top of all that, macroeconomic risks are a constant concern, primarily with interest rates possibly going up. Fortunately, even if the Federal Reserve does raise rates three times this year as projected, it’ll only be by 25 basis points each at most. For most dividend stocks, that shouldn’t trigger a drop in prices — especially in dividend stocks that have a high enough yield that they’re not competing with Treasuries for attention. Today, I’m looking at seven cheap dividend stocks to buy now. I’m defining a cheap dividend stock as one that trades at a discount to free cash flow value, and I’m only looking at companies with sound businesses that yield 4% or more. AT&T Inc.’s (NYSE:T) pending acquisition of Time Warner Inc (NYSE:TWX) is progressing. FCC Chairman Ajit Pai, said he doesn’t see a role for his agency in the review process of the takeover. Investors should interpret that comment as a green light for the deal. Time Warner will add positively to AT&T’s cash flow, which should give income investors some peace of mind. After all, AT&T needs to keep that thick dividend financed. The value proposition comes in when you see that T trades at less than 14 times forward earnings estimates. 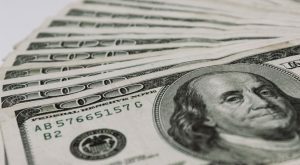 Moreover, AT&T is valued at more than 20% below its future cash flow value — which is much better than other telecom dividend stocks such as Verizon Communications Inc. (NYSE:VZ). Plus, the market expects AT&T to grow earnings by more than 30% in the next three years. Although Cheniere Energy Partners LP (NYSEMKT:CQP) shares already rallied around 7% in the past month, CQP is still an inexpensive stock. Its forward P/E is sitting around 13 on a dividend that’s more than 5%. In the third quarter, the oil and gas pipeline master limited partnership (MLP) reported revenues of $331.4 million that translated into a 27-cent loss. A quarterly loss might worry income investors, but the company is on a growth schedule that’s expected to reach its mark in Q1 of 2018. The seven-train portfolio for liquid natural gas (LNG) transportation is worth more than $4 billion per year. Once the train comes online, CQP may start raising its distribution rate. Last year in September, Cheniere nearly completed Train 2 at the Sabine Pass, located in Louisiana. Trailing earnings are weak, but the potential is strong, and the future cash flow ahead suggests the stock is steeply discounted. CQP remains a little more expensive compared to similar energy stocks, so I personally would look like a pullback in shares — like the one the market provided on Wednesday — before buying the stock. But even at today’s prices, CQP is cheap. Teva Pharmaceutical Industries Ltd (ADR) (NYSE:TEVA) increased its market share in the generic drugs world by acquiring the Actavis generics business from Allergan (NYSE:AGN) last year. However, Teva piled on debt to do so, and TEVA shares have been shedding weight rapidly, with shares off by more than 40% as investors sour on that deal and other company woes. However, the market expects Teva to generate EPS growth of 3.6% in the year ahead and 11% in the next three years. And it sports a forward P/E of 7.4, while being valued at more than 40% below its future cash flow value. TEVA is full of risk, of course. Earnings fell in the last year as the company restructured its business, and it will continue to cut costs this year. But Teva has a number of attractive assets, and it’s rationalizing its generic drugs unit, which will improve cash flow. Successfully managing the competitive pressure from generics for Copaxone will also lead to better results this year. In the technology sector, there are decent dividend stocks to be found in the mature market of storage. 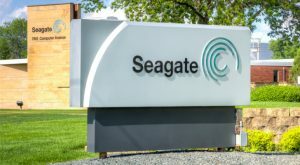 Seagate Technology PLC’s (NASDAQ:STX) yields more than 5%, and trades at around 10 times forward earnings estimates. Moreover, this generous yield is plenty covered by the strong business. In its second-quarter report, Seagate issued a third-quarter revenue estimate of $2.7 billion, above consensus. It also expects to earn $4.50 a share, significantly higher than the $3.77 per share consensus. Seagate has a good balance of dividend yield and future growth. Income investors don’t need to chase the stock, as it’s not substantially discounted to future cash flow values, but buy on any dips. Kohl’s Corporation (NYSE:KSS) fell by more than 25% from yearly highs after issuing a lower earnings forecast. In February, the retailer forecast earnings in a range of $3.50-$3.80 per share, slightly higher than the $3.60-$3.65 forecast it gave in January. That came amid a miss on revenues for Q4. KSS trades at a steep discount to its future cash flow value; even assuming the retailer does not raise its revenue estimates for the year, the stock still offers good value. Moreover, Kohl’s is projected to grow profits by 32% over the next three years. But the retailer has to prove it. A stronger U.S. economy, tax cuts and a delay in border taxes — should all of this come to pass — has to hit the bottom line. If so, expect KSS to lift full-year earnings estimates later this year, and expect Kohl’s shares to take off. Valero Energy Corporation (NYSE:VLO) is among the best cheap dividend stocks in the energy sector — despite the fact that it’s trading around its 52-week highs. VLO yields a bit more than 4%, but also trades at a forward P/E of less than 11%.Valero offers a healthy, balanced business that recently earned an “Overweight” ranking by Barclays, where analysts think the stock is worth $85 per share, or another 20% upside. In its most recent quarter, Valero earned 81 cents per share in profits on revenues of $20.71 billion. The dividend has clear coverage. And in light of the stock price trading at more than 20% below future cash flow value, VLO clearly has upside. The only warning? Valero’s growth potential is not a guarantee. The crack spread — the difference between crude oil prices and the prices of petroleum products extracted from said oil — must widen, through cost-cuts and higher operating efficiency. Still, even at current levels, VLO should interest dividend investors. 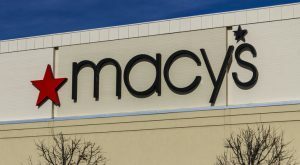 Macy’s Inc (NYSE:M) is the last of our cheap dividend stocks to buy now, and it looks beaten-up enough to deserve a look. Yes, Macy’s has been beaten down since mid-2015. But that has driven the yield up to nearly 5%, and its forward P/E is in the very low double digits now. Rumors circulated that Hudson’s Bay Co (OTCMKTS:HBAYF) would buy the company, though talks appear to be at an impasse. Speculation aside, though, the stock is on the mend. The physical retailing market does present some risk for investors, but competition has been around for decades. Online stores like Amazon.com, Inc. (NASDAQ:AMZN) offer free shipping and low prices for Prime customers. Wal-Mart Stores, Inc. (NYSE:WMT) is constantly a threat and is building its online presence. Those headwinds aren’t going away, but they’ve mostly been factored in at this point. Macy’s has a massive real estate portfolio, room to cut poor-performing mall locations and is improving its supply chain. This should improve productivity and lift EPS, and that should keep the dividend — which is extremely appealing for the retail sector — safe over the long-term. Article printed from InvestorPlace Media, https://investorplace.com/2017/03/7-cheap-dividend-stocks-to-buy-now/.